Looking for a tripod? 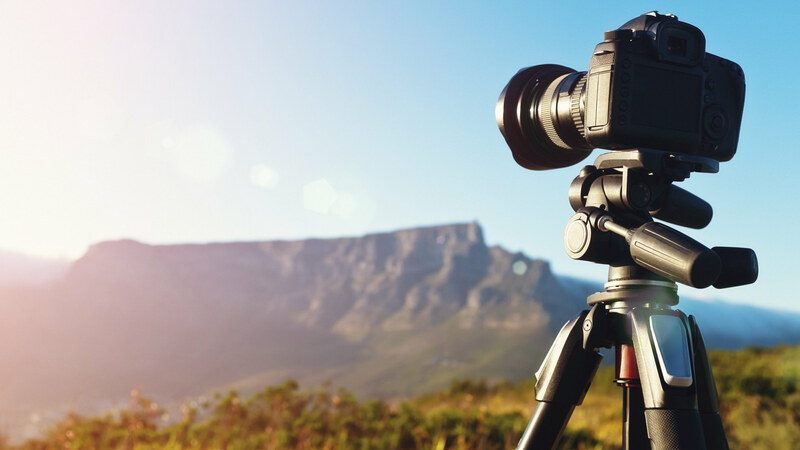 Whether you’re a landscape photographer that needs something to hold up to the rugged conditions of the outdoors, a travel enthusiast that needs something small and easy to carry, or an avid portrait taker that needs a tripod that’s easy to setup and tear down, we’ve got all the bases covered in our list of the best five tripods of 2016. 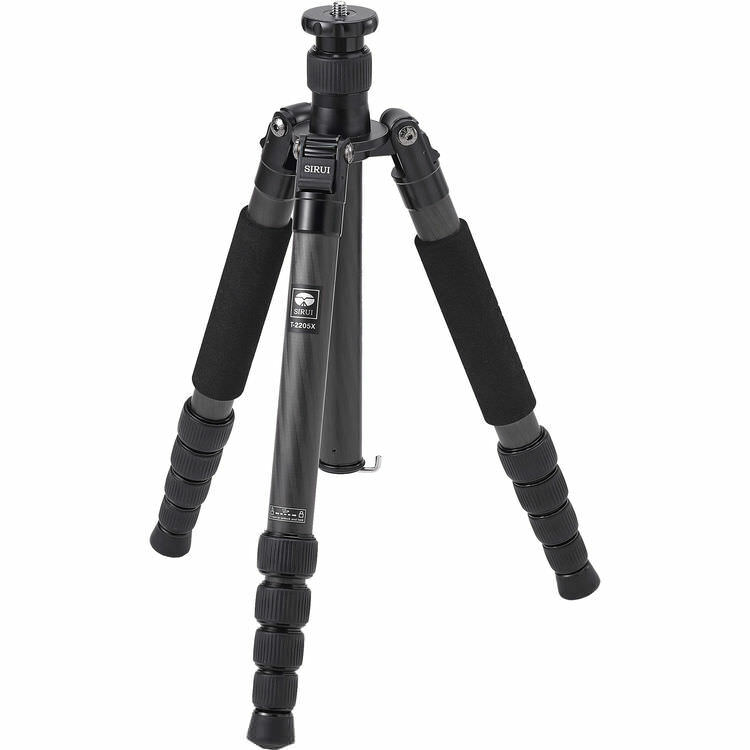 If you want a lightweight tripod that’s compact, yet has a maximum height of nearly 5 feet, the Sirui T-2205X is the tripod for you. It weighs just 2.6 pounds, meaning you can easily carry it on long journeys without getting fatigued. 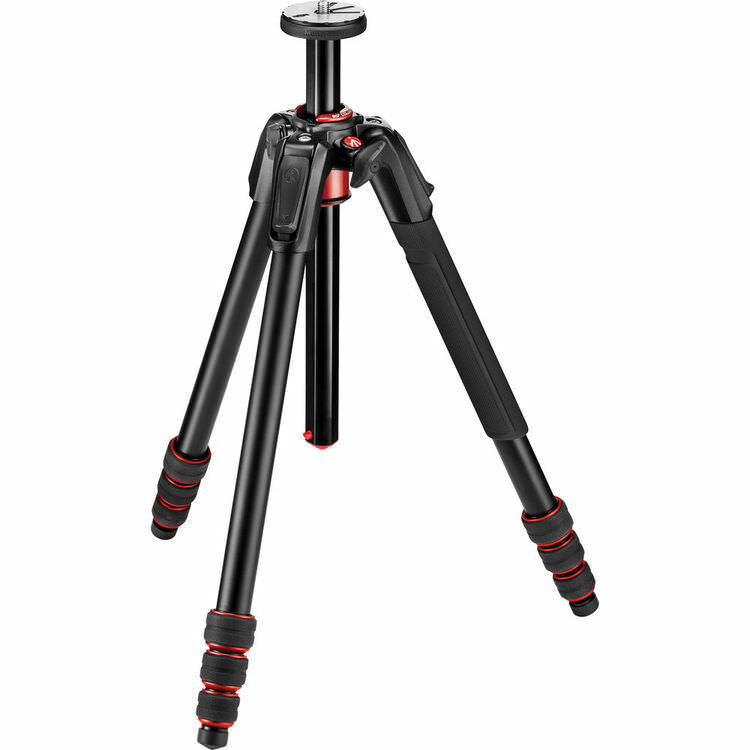 Folded down, the tripod is a mere 14.6 inches long, again, making it a great choice for photographers that need a full-size tripod but don’t want to deal with carrying something that’s heavy or cumbersome. But just because it’s lightweight and compact doesn’t mean it’s a lightweight in terms of the load it can carry. The T-2205X has thick upper leg sections, carbon fiber construction, and a forged aluminum alloy chassis that help it hold up to 26.5 pounds. It’s versatile as well - with a short center column, the tripod’s legs can be set at 80 degrees, meaning you can shoot from just over 5 inches off the ground. Learn more about the Sirui T-2205X. Handlepod offers sturdy support in a highly compact package and gives you the versatility of utilizing it in a number of ways. Hold it in your hand for steadier low-light or long exposure shots. Brace it against a support like a wall or a post for instant tripod-like stability. Use the Handlepod’s built-in elastic cord to lash it to a steady object like a tree or even the side mirror of your car. That’s versatility that no tripod can match! Additionally, Handlepod easily fits in a shirt pocket for carrying, a feature that’s great for travel photography, landscape photography, and everything in between. 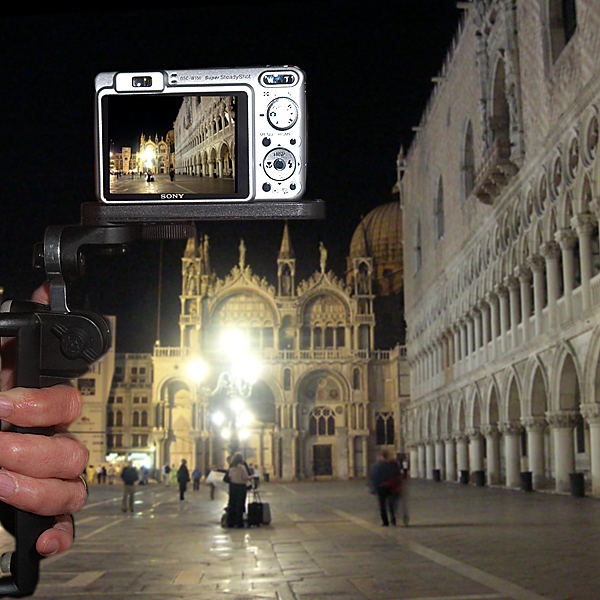 It’s compatible with all sorts of cameras too - from iPhones and Android devices to mirrorless systems and DSLRs. With three-axis movement, the Handlepod allows you to get a well-framed, level photo without worrying about the angle of the object against which it is supported. Perhaps even better, there’s not a long, drawn-out setup procedure as is the case with traditional tripods. Just pull it out of your pocket, take a few moments to attach it to your camera, and it’s ready to go! Being able to take shots close to the ground is not something that all tripods offer, but the Manfrotto 190go! certainly does. The center column can be positioned at a 90-degree angle to the ground, giving you the ability to take shots at a height of just 2.75 inches. As if that’s not attractive enough, the 190go! is made of aluminum for strong, sturdy support, but doesn’t weigh a ton either - just 3.7 pounds. At it’s tallest, the tripod extends to 57.5 inches, and when folded down, it’s a mere 17.7 inches long. The 190go! has another neat feature as well - it uses twist locks, meaning it can be set up and broken down quickly, all with the twist of your wrist. The tripod also has an Easy Link Adapter, which allows you to connect your tripod to accessories like LED lights. Learn more about the Manfrotto 190go! 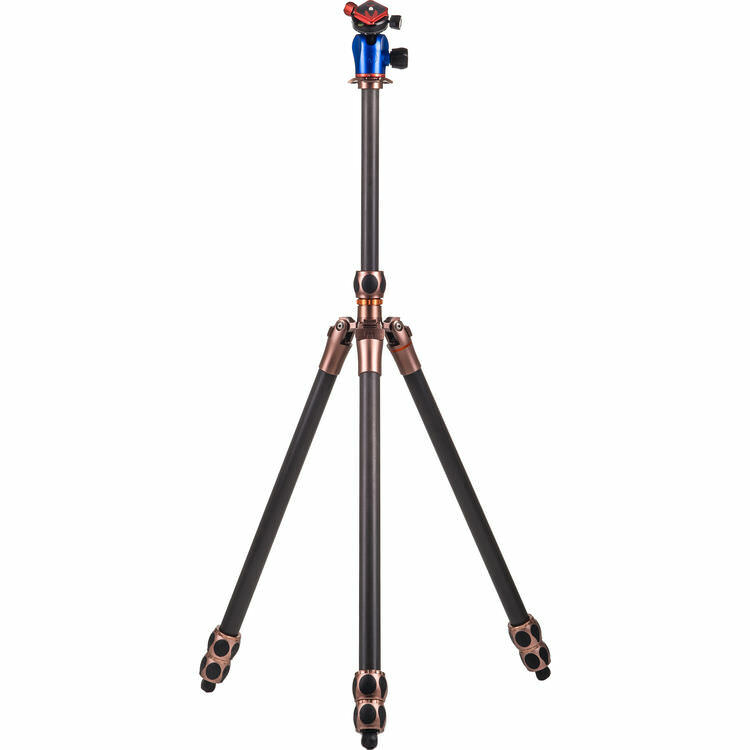 With a maximum height of 76.9 inches, the Equinox Winston tripod from 3 Legged Thing will give you the height you need for virtually any shot. The Equinox Winston doesn’t neglect the need to go low either, as it can get down to 10.6 inches above the ground for low perspective shots. Another advantage this tripod has over others is that it can support over 88 pounds. Just because it’s big and can support a lot of weight doesn’t mean the Equinox Winston is cumbersome. By folding the legs in reverse, the tripod becomes more compact for storage and travel. Better still, it has a detachable leg with standard 3/8"-16 threads at both ends so it can be used as a selfie stick, a microphone boom, or a monopod. With an included Airhed 360-Degree Ball Head, you’ve got everything you need to take great still photos and smooth videos. Learn more about the Three Legged Thing Equinox Winston. 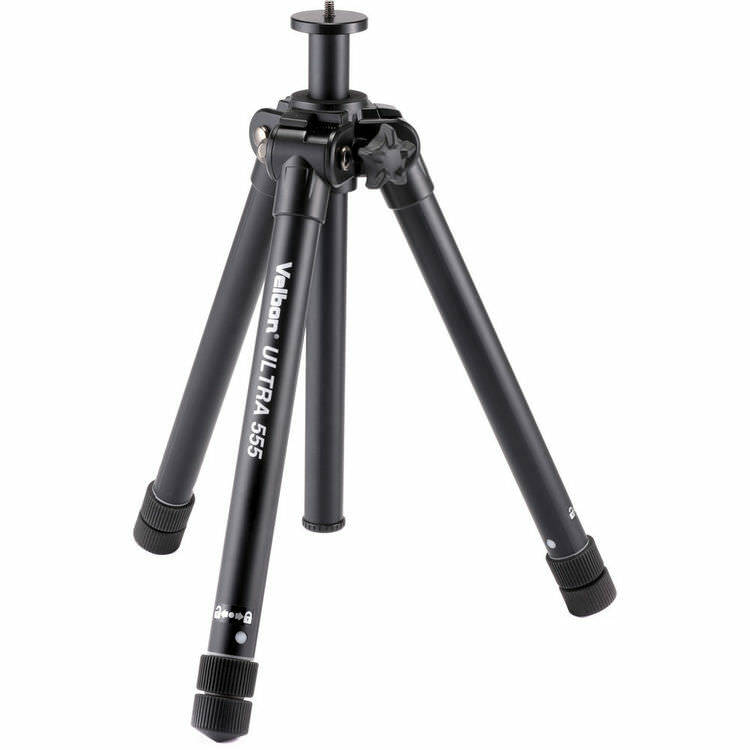 This small, aluminum tripod from Velbon has five leg sections for an extended height of just over 60.6 inches, but folds down to a compact 14.7 inches when not in use. Weighing in a 3.25 pounds, it’s relatively lightweight as well. It’s telescoping legs have a twist to lock feature, ensuring that the legs don’t become disengaged, causing the tripod to fall. The legs can be set at three different angles, giving you leeway to shoot from different perspectives. It even allows for shooting just 5 inches off the ground for those must-have shots with lots of foreground details. Learn more about the Velbon Ultra 555A.